Why? Well, you’re kind of a big deal. You probably landed here because you were at the biggest little parade ever. Or, you heard about it from someone who was lucky enough to see it. You may be wondering what the hubbub was about, or maybe not. But not to worry, we’re here to clear the air. 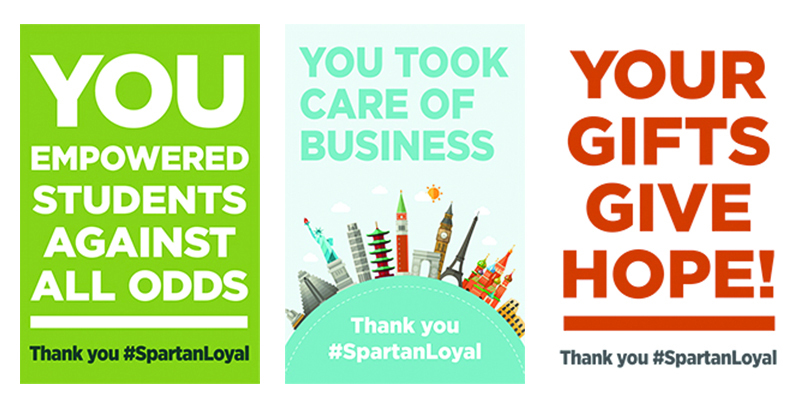 On September 26, we had a crazy idea to show one #SpartanLoyal annual giver just how much their gift means to us. Watch the biggest little parade. If you gave to MSU in the past year your gifts have been catalysts for some pretty incredible change. Now that’s something to celebrate! 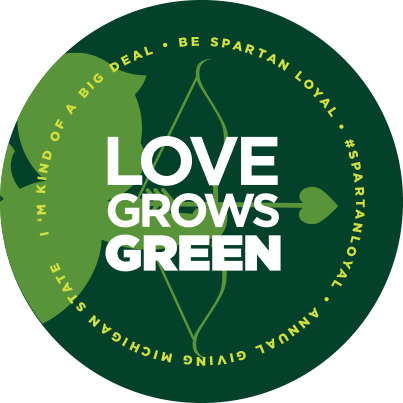 SPARTAN LOYAL, our first level of annual giving, recognizes all donors whose gifts to MSU total $100 or more during the fiscal year (July 1 – June 30). Be #SpartanLoyal and make a difference today. Gave the Department of Fisheries and Wildlife’s beloved polar bear a makeover through CrowdPower. Brought Broadway tickets to disadvantaged kids. Empowered students with disabilities to overcome hurdles. Be #SpartanLoyal. Every person and every gift matters. Choose what matters to you and make a gift today.